They are from the estate of Archdeacon Tom F Duggan who was the first chaplain to be awarded the Military Cross in the second world war, receiving the decoration for gallantry near Dunkirk. A staunch Nationalist from the parish of Ballyheeda, Ballinhassig Co.Cork., he volunteered as a chaplain and arrived in Flanders in 1917.His postings were to the 1st Battalion Royal Dublin Fusiliers and then the Munsters and finally the Connaught Rangers. He became a POW on the 22nd of March 1918 during the German spring offensive and was interned as a prisoner in Mainz until the Armistice. He was repatriated in November that year and was appointed secretary to Bishop Coholan and later chaplain to the Bon Secours Hospital. On the 24/1/1977 Cork County Council and the people of Kinsale honoured Archdeacon Duggan by naming the new bridge which was erected to span the river Bandon near its estuary at Kinsale the 'Archdeacon Duggan Bridge'. On the 2nd December 1994, Blackwater Press published 'Archdeacon Tom Duggan' (In Peace and in War) by Dr Carthach MacCarthy. Between the two world wars he became deeply involved in the Irish struggle for independence, and in the civil war he was one of the leading peacemakers. He taught in the diocesan seminary from 1923 to 1939. Though he always hankered for life on the foreign missions, it was not until the age of seventy-one that he achieved this with a posting to Peru. He died in 1961 aged 71 in Peru and his funeral was attended by Cardinal Cushing of Boston, USA (the celebrant) and, among others, Bishop Cornelius Lucey of Cork & Ross. As Archdeacon Tom Duggan was the first member of the St. James Society to died in Peru, it was decided that he should be buried at the Britannica Cemetery, Callao, Lima, Peru, which was the usual burial place for English-speaking people who died in the area. Cardinal Cushing of Boston, USA was the celebrant of the funeral mass. In the sanctuary were Archbishop Romolo Carboni, Papal Nuncio to Peru; Archbishop(later Cardinal) Landazuri-Ricketts, Archbishop of Lima and Primate of Peru; Bishop Cornelius Lucey of the dioceses of Cork and Ross and two other Peruvian bishops. The Irish colony in Lima was present in strength. Fr Michael Fitzgerald, in deference to his Cork origins and to the Archdeacon's strong links with the Columban Fathers, was given special place in the ceremonial. Fr Michael Crowley was the only Cork diocesan priest present. In July 1963 the remains of Archdeacon Duggan were exhumed and transferred to the recently established language school of the St James Society in Cieneguilla in the foothills of the Andes some 15 miles south of Lima. In February 1964 a monument over his grave was blessed. Amongst those present at the ceremony were, Professor Lucy Duggan - the Archdeacon's sister, and his good friend, An tAthair Tadhg O'Murchu, P.P., Carrig na bhFear. In the spring of 2004 the remains of Archdeacon Duggan were once again exhumed. On the 1st March, 2004 - on the occasion of the closure of the Cork Mission in Peru and Ecuador - in the presence of His Lordship, Most Rev. Miguel Cabrejos Vidarte OFM, Archbishop of Trujillo, Peru, His Lordship, Most Rev. John Buckley, Bishop of Cork & Ross and very Rev. William Costa, P.P., El Buen Pastor, El Porvenir, Trujillo, Peru, his remains were reintered in El Buen Pastor Church, El Porvenir, Trujillo, Peru - being the very first church built by the Cork Mission in Peru. 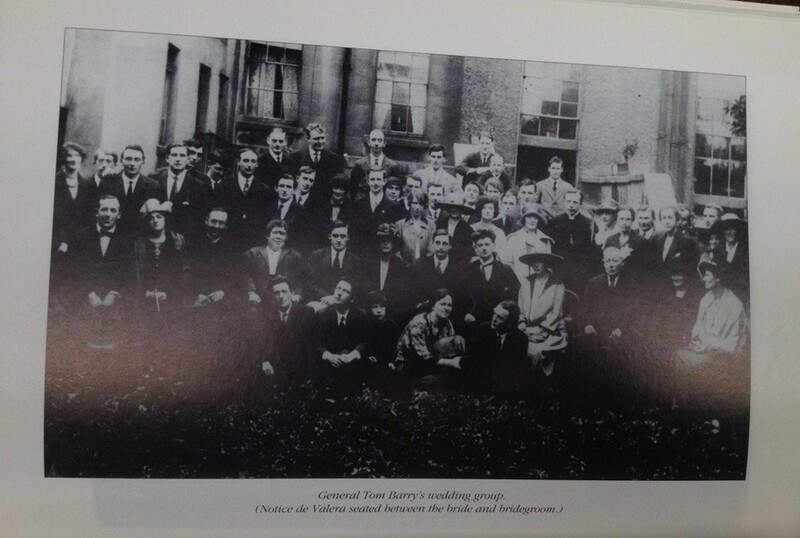 When demobilisation scheme commenced in Victoria Barracks, Belfast, yesterday, one of the first to pass through the centre was Rev. T.F. Duggan M.C., senior chaplain to the Catholic Forces in the North. Fr Duggan was the first chaplain to win the military Cross in the present war, receiving the decoration for gallantry near Dunkirk. A native of Cork, he was a teacher in St. Finbarr's College, Cork, before joining up in September, 1939. He was a chaplain in the last war. Extract from the Cork Examiner, June 20, 1945. "It is no exaggeration to say that Archdeacon Tom Duggan was one of the most remarkable priests of the diocese of Cork and Ross of this century. A military chaplain with the British forces in both world wars, he was the first chaplain to be decorated with the Military Cross.